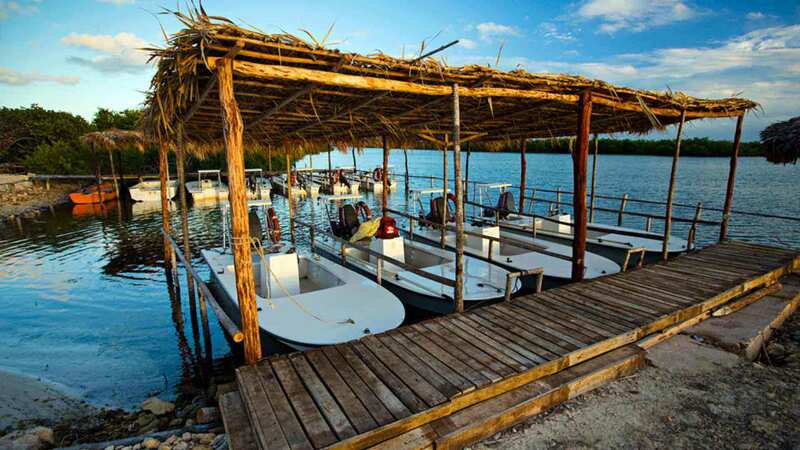 Location: Located on the north shore of the eastern province of Camguey, the Cayo Cruz fishery is an enormous system of protected flats, lagoons and pristine estuaries. Within this designated area, commercial fishing is strictly forbidden and rigorously enforced. This marine park is 141 square miles in size. On the average day, each skiff has over 19 square miles to itself. The fish are plentiful and aggressive. The fishing area is virtually untouched and has only seen anglers for four seasons. This new fishery is still very much in its infancy. The flats are an inviting combination of hard packed white sand and a semi-firm mottled bottom that still provides good wading. And what a place this is for those who like to wade! It’s very similar to Los Roques in terms of the amount of area that’s wadable and there are places here where you can wade for 4 straight hours without heading back to the boat. Exceptional flats fishing. The flats are an inviting combination of hard packed white sand and a semi-firm mottled bottom that still provides good wading. For those who like to wade, there are places here where you can wade for four straight hours without heading back to the boat. 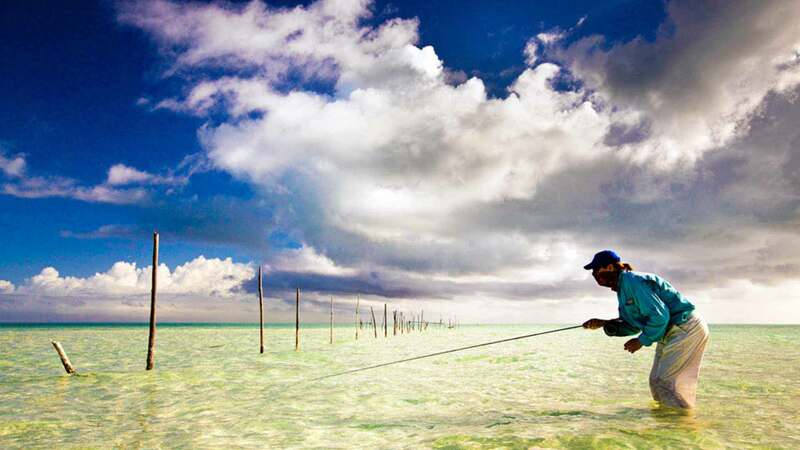 Cayo Cruz represents all the characteristics of a recently discovered, virgin fishing territory with large numbers of fish, good sizes, and their evident lack of exposure to flies and leaders. January to March: brings with it the risk of cold fronts from the north-east. However, Cayo Cruz is well protected by the string of cays that shelter most of the fishing spots. The fishing at this time is good; particularly for good-sized bonefish, small and medium tarpon (20-30 lbs), and from mid-January the permit begin to appear. 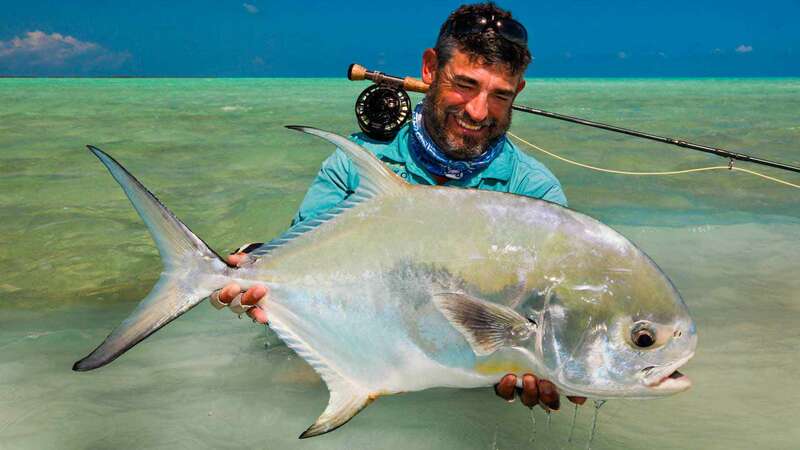 April to June: is perhaps the best time both for weather and for the appearance of large quantities of huge tarpon – in addition to the bonefish and permit. July and August: the fishing is the same, but hotter sometimes. September to December: is a good period for bonefish and for smaller quantities of large and medium tarpon. 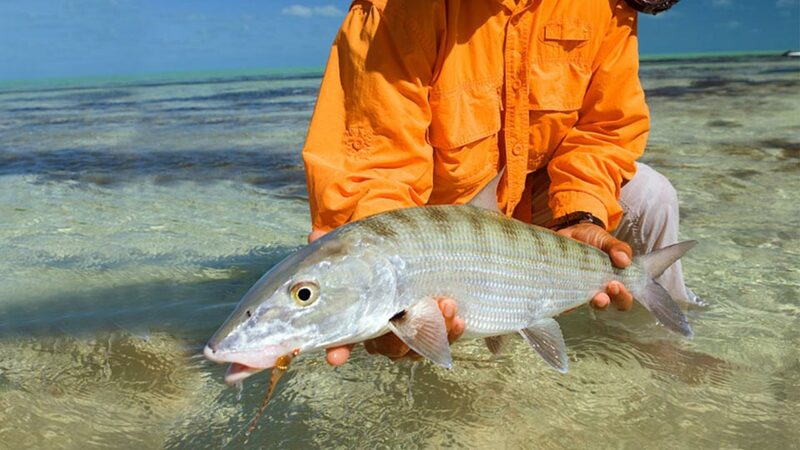 Bonefish average 4-pounds and is not unheard of for guests to land a fish or two in the 10-pound range. Tailing bonefish are common and guests can expect to see bonefish in singles and doubles, all the way up to schools of several hundred fish. 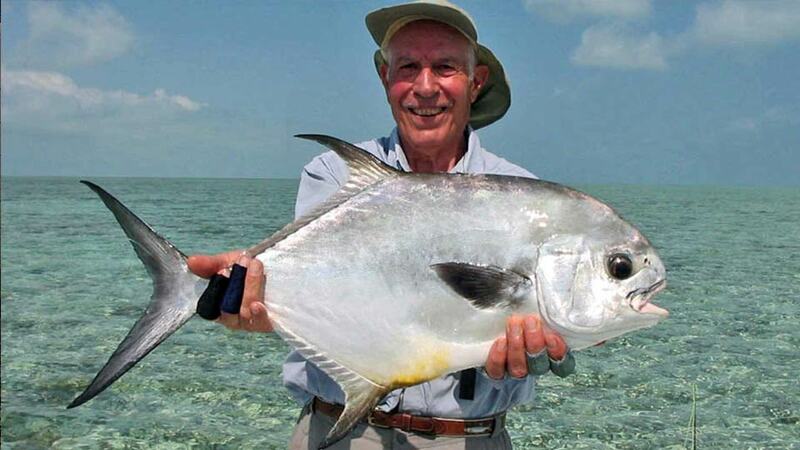 Permit- What really sets this location apart from so many other fisheries is that guests can expect to encounter and get shots at good numbers of permit each day. 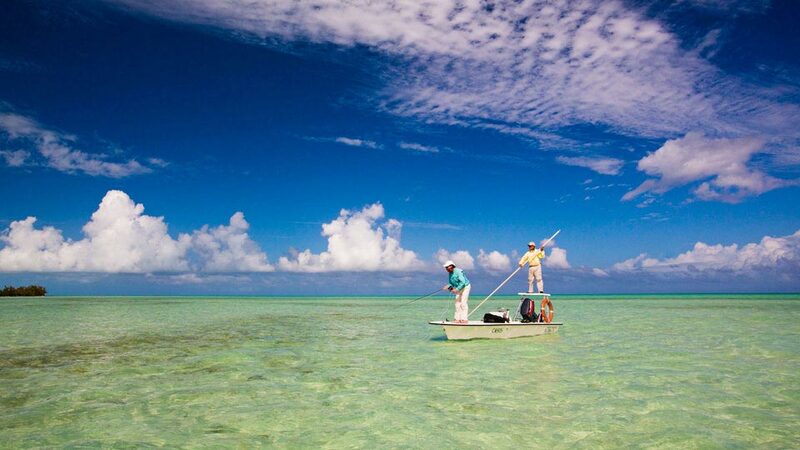 There are very few places on earth where guests can fish for big bonefish each day and also get shots at tailing permit. It is a rare day when you don’t encounter and get shots at permit ranging in size from 8 to 30 pounds. 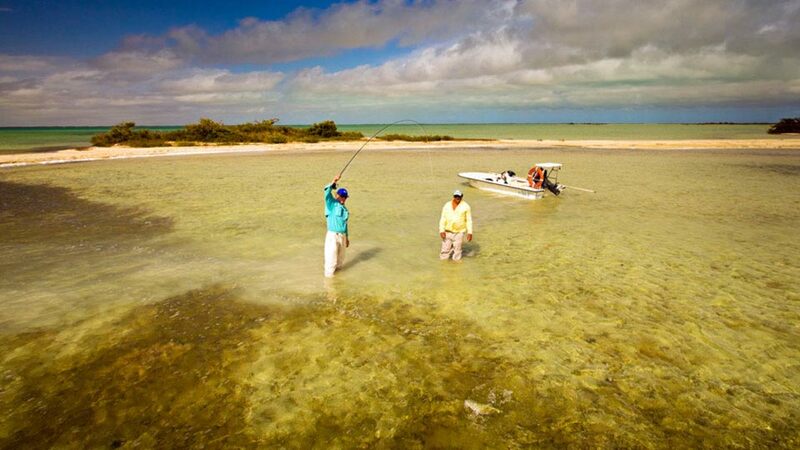 The flats at Cayo Cruz are a little deeper than those found in other areas of Cuba, which means that the bonefish and permit are still found in excellent numbers throughout the year. Tarpon - the best months for tarpon are March to the end of July. Cayo Cruz offers two locations for very good tarpon fishing. Guides tend to save these areas for when an angler has already boated a permit and is looking for a Grand Slam. These tarpon range from 30-to 90-pounds. You'll also target mutton snapper, snook, cubera snapper, jack crevalle, barracuda, and more. Guides: Cayo Cruz has been in operation since 2014. Avalon’s veteran guides are constantly helping the new guides to improve their language and guiding skills. If you are prepared to be patient while the guides develop, you'll find a virtually untouched flats oasis, absolutely teeming with fish and wildlife. What these guides lack in experience, they more than make up for in hard work and enthusiasm. The average boat run to the fishing areas is about 20-minutes. While in some areas, you can be into fish within five minutes of leaving the boat docks. It just depends on where your guide wants to take you that day and what you are targeting. With 19 square miles per boat, the options are just about limitless and at times can prove to be sensory overload. You’ll fly to Jose Marti International Airport (HAV) also referred to as Havana Airport. It is the busiest airport in Cuba and has four terminals. You'll be met by an Avalon representative as soon as you clear customs. Currency: It’s best to bring Euros or Canadian Dollars to exchange into Cuban CUC upon arrival in Cuba. U.S. Dollars are subject to a 10% special tax/commission. Cayo Cruz's new all-inclusive resort is only five minutes from the marina. The Oceans Arena Blanca by H10 is a luxurious all inclusive hotel facing the ocean on Cayo Cruz. Avalon is excited to partner with this hotel, to give you the highest level of lodging and service available on Cayo Cruz. The hotel will have a swimming pool, bar, lounge, fitness center, etc. 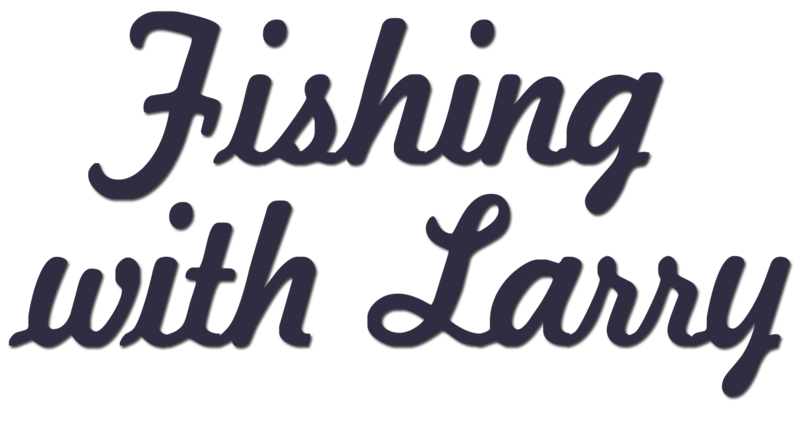 featuring several activities for non-fishing guests. Reception at airport, ground transfer upon arrival and departure – airport/hotel, 7-nights in Cayo Cruz hotel, meals in Cayo Cruz, 6-days guided fishing – fishing licenses and beverages on skiff, including four drinks (beer, water, soft drinks) each fishing day. For Cuba, you absolutely need to have full, comprehensive medical insurance that completely covers you in the event of any injury or illness. If you are not sure of the extent of your current coverage, please contact your insurance provider to find out.